07 Apr Athleta Shrewsbury – BE BOLD. BE BRILLIANT. BUILD YOUR BRAND. We hope you can join us for the first of a series of exclusive Fit Pro Events being offered in 2019. We know that when all women come together, we’ll be unstoppable. So we aim to inspire that feeling of community in everything we do. We have gathered a panel of successful women from the span of wellness professions to share their journey with our Fit Pro Community. Meet our amazing panelists and join us for a casual discussion with time for Q&A, networking, sips and snacks. DonnaLyn Giegerich: President DLG Consulting, Event Emcee. We loved working with DonnaLyn this year so please accept this exclusive invitation to our Spring Friends and Family Event Athleta in the Grove and share with your community. Visit us at Athleta in the Grove at Shrewsbury for a special Friends and Family Event and receive a special 25% off your TOTAL purchase, see store for details. Please RSVP and we’ll have your discount card waiting for you by name. We will have numerous in store events all week for you to enjoy. 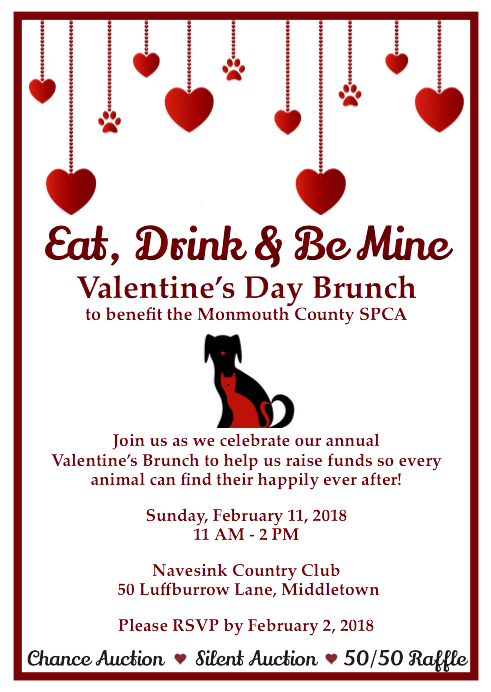 The Monmouth County SPCA will be hosting its annual Valentine’s Brunch on Sunday, February 11, 2018 at Navesink Country Club in Middletown with DonnaLyn as Emcee. Our brunch is one of our most popular events, attracting more than 200 attendees. Proceeds from the brunch go directly to supporting MCSPCA programs that save thousands of abused and abandoned pets each year. Our “Eat, Drink and Be Mine” Valentine’s day theme celebrates the love of a significant other, the devotion of cherished pets and the bond of friendships & family. We hope that you may consider donating an item for our chance or silent auction that is geared towards these special relationships in exchange for promotion at the event. 1. Inspiration is everywhere. You don’t have to travel far to appreciate miracles and momentum. You do, however, have to show up well and be open to possibilities. So, how curious are you? When is the last time you asked someone to “tell me more” or “help me understand” before dismissing an idea as crazy, old school or impossible? Over the holidays, I read a memoir entitled Driving Miss Norma. The autobiography was about a feisty, wise woman and her family that creatively responded to a serious health challenge. Miss Norma’s response was “I’m ninety years old and I’m hitting the road!”. This inspirational book was enjoyed in front of the fireplace but ignited so many ideas on what is possible despite age and adversity. Miss Norma is a role model on how to live fully with gusto. 2. Inspiration is inclusive. While Miss Norma’s story was largely about her individual experience on the road, traveling with family made all the difference. I was inspired over the holidays by a community conference at Brookdale that celebrated Second Acts. For a closer look at some standout stories, check out www.encore.org and/or follow my speaking colleague @DonnaCardilloRN for more inspiring ways to craft your best year with family or friends. One takeaway was certain: Pulling back as we age is a disservice because we are more diverse in experience than ever before. So what are you creating in 2018 to showcase your talent and time? 3. Inspiration is intergenerational. 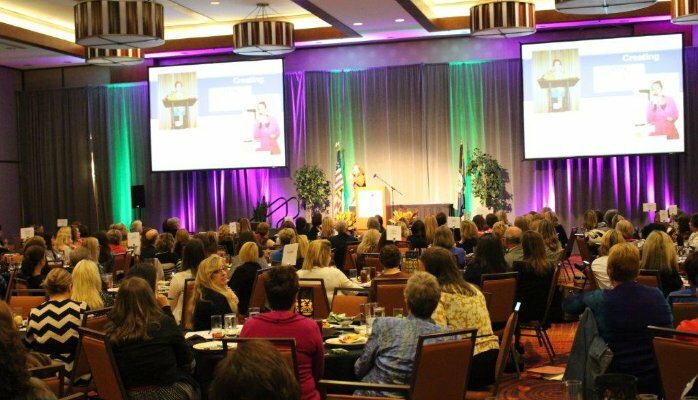 I was in Minnesota recently presenting on leadership at a national conference for women in financial services. I almost didn’t arrive thanks to the flu that leveled me for three hours from Newark to Minneapolis. 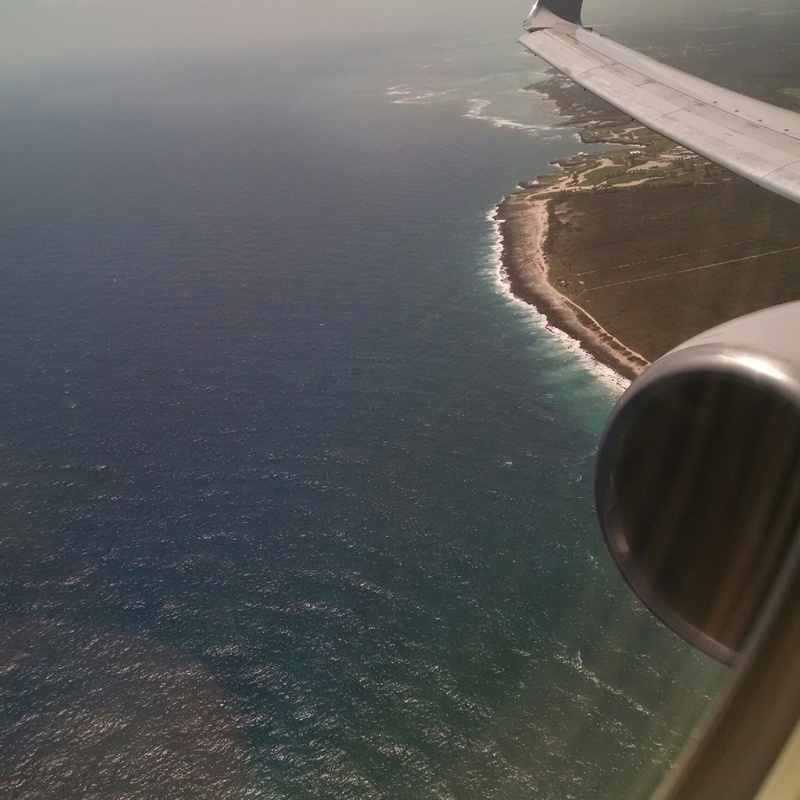 As I crawled off the plane, I marveled at the magnificence of the strangers that helped me land on my feet. My travel companion was a retired physician from Nigeria that helped me stay calm. Our middle aged flight attendant couldn’t have been more accommodating and the baby faced pilot helped me get off the plane. When I got to the shuttle service, a random millennial cancelled her transport to accompany me to my hotel before she pursued her path. Angels of all ages were a giant source of inspiration and a reminder that good people are everywhere. So, whether your new year’s resolution is to reinvent, reconstruct or reimagine parts of your life, remember to take notice of the inspiration all around you. It’s there, waiting to be discovered and shared. Read a reframing book, attend an empowering conference or take a trip to meet new friends of all ages. Just skip the flu and live well! 12 Jan Your 4 P’s of Perseverance for Your Best Year Ever! Being Average is out. Being Memorable is in. But how do we stand out as notable professionals in a world that spins to win at the speed of light? 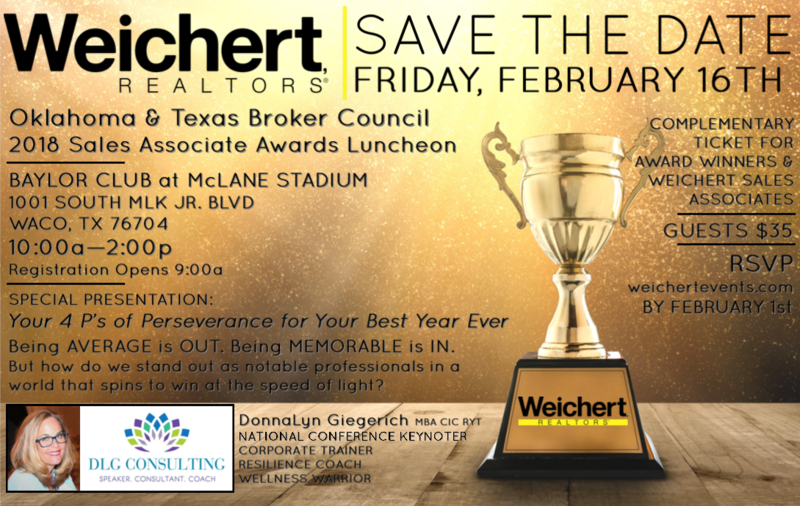 Join Weichert in Waco Friday, Feb 16 2018 for a trending conversation on your resilient leadership skills. Learn tools and techniques to take your performance to peak levels regardless of your circumstances. Commit to considering a different way of working in the world that celebrates the power of languaging and the passion of purpose. DonnaLyn Giegerich MBA CIC RYT has helped thousands of leaders “improve their groove” in business and life. As a national conference keynoter, corporate trainer, resilience coach and wellness warrior, she is passionate about helping others lead to succeed. She’s here today to share what’s possible for you as a real estate renegade and persistent producer of results. 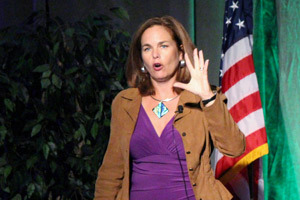 She’s worked with executives at fortune 500 companies to emerging entrepreneurs from California to Cornell. In addition to being the President/CEO of DLG Consulting, DonnaLyn maintains business interests in two NJ insurance agencies, is a licensed realtor/title agent and college economics professor. She is an entrepreneurial consultant for the Small Business Administration at America’s Small Business Development Center and co-founder of an award winning non profit. 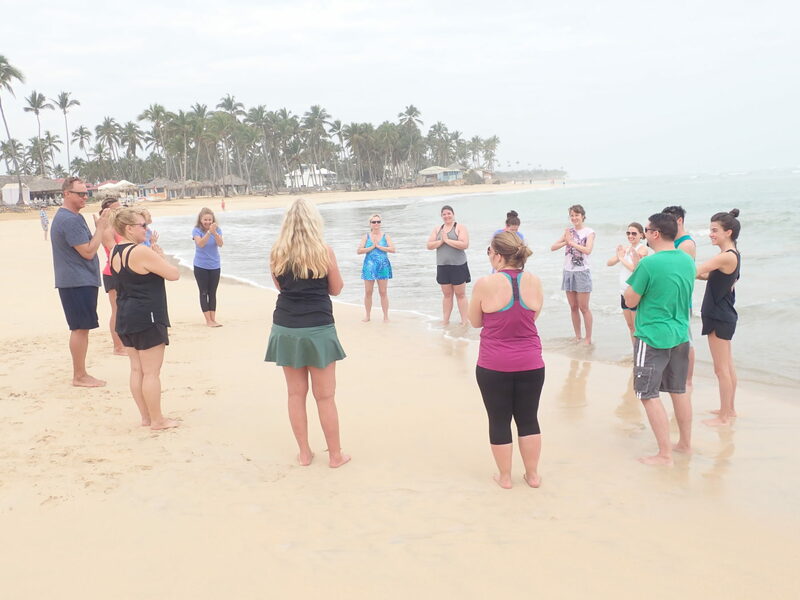 To recharge, she teaches yoga around the globe in the sun for fun. 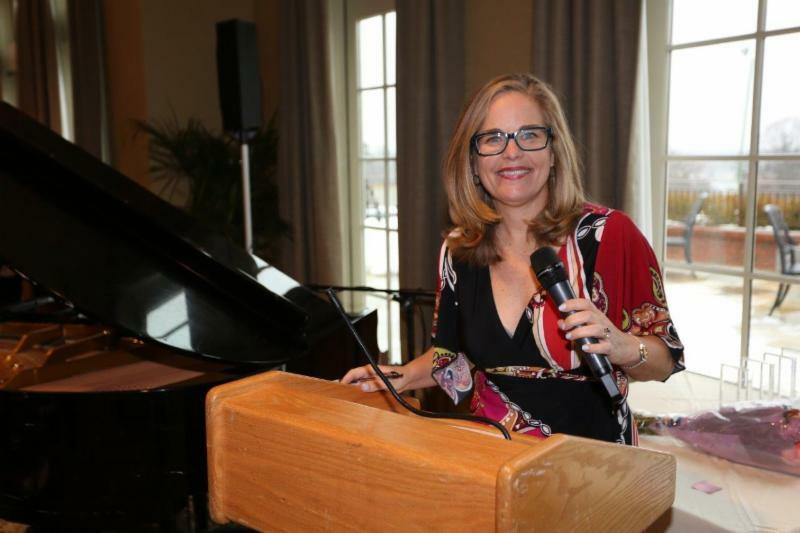 DonnaLyn Giegerich MBA CIC, a nationally acclaimed motivational business and wellness speaker has returned home to Red Bank after a busy year of speaking at national conferences. 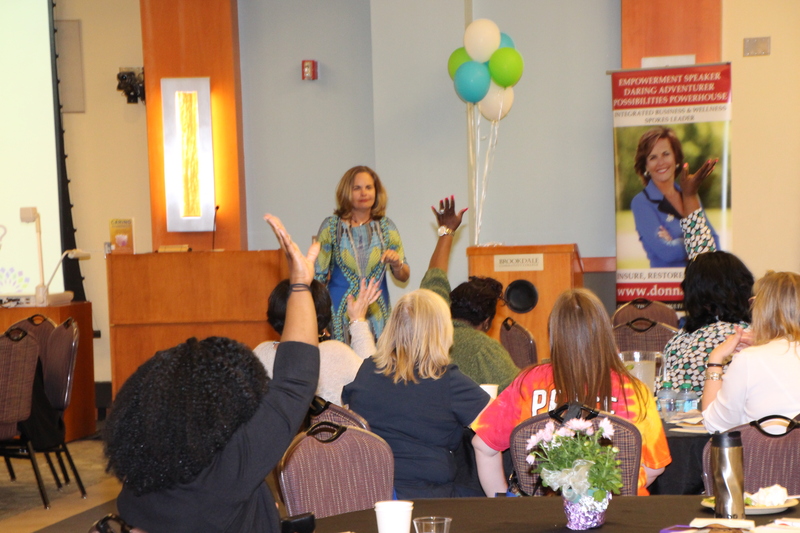 Recently returning from Minneapolis where DonnaLyn was the resilient leadership speaker for the National Association for Women in Financial Services, Donnalyn is happy to be empowering local leaders to lead to their full potential. In an upcoming workshop for Mary’s Place by the Sea in Ocean Grove, NJ, DonnaLyn will be sharing a framework for forward living. This workshop will help survivors and caretakers craft a resilience regimen for daily living that embraces the mind, body and spirit. This workshop “Pivot Your Purpose” will be held on December 16th, 3pm. Recently, DonnaLyn presented at The Grove, a Courageous Girls Workshop to help emerging leaders focus on what matters most. As the co-founder of Kick Caner Overboard, an award-winning non-profit sending people to sea for free, she is proud of their resilient team’s success in sending over 249 cruisers to Bermuda each year. DonnaLyn is a resilient expert helping others to lead and succeed as a keynoter, consultant and coach. She is the CEO/President of DLG Consulting, a global integrated leadership training company. As a rare cancer survivor and caretaker for ten years, she delights in helping corporate teams and entrepreneurs develop talent agility. Recent conference keynotes include National Association of Insurance Premium Auditors, International Association of Claims Managers, and Women in Financial Services. Corporate work includes Balfour Beatty Investments, Campbell’s, Novo Nordisk, Daiichi Sankyo and Nat Kidney Registry. 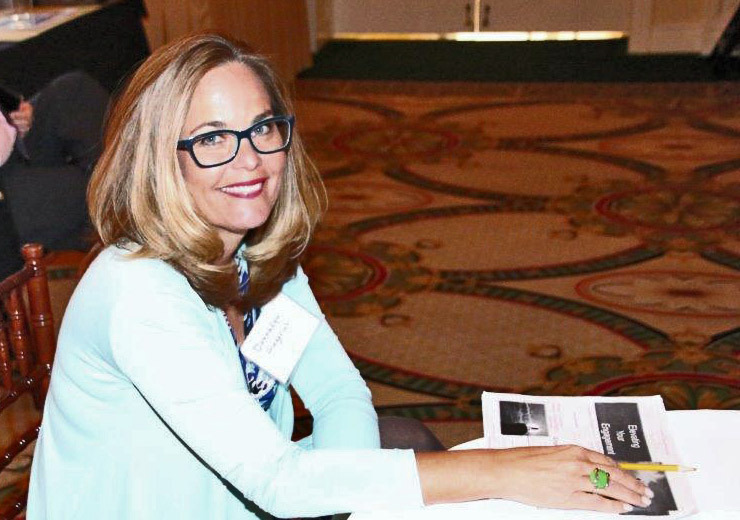 DonnaLyn delivered similar engagements for the Association of Professional Insurance Women and the National Association of Insurance Auditors of the Southeast. She maintains business interests in two Red Bank insurance agencies, is the insurance expert for America’s Small Business Development Center(SBA), and teaches economics/business courses as an adjunct professor. She is a contributing writer, virtual columnist, blogger and national spokesperson. Her work has been written in five books, numerous videos and has been the recipient of numerous awards to empower others. Learn more at DonnalynSpeaks.com, LinkedIn, Facebook & Twitter @DonnaLynSpeaks.